Currently living in New York City, I find inspiration everywhere; from vintage fashion to contemporary art collections to discoveries on trips. I'm currently very inspired by the sculptures of 20th century American artist Anne Truitt - I love her use of color and sense of minimalism. Ashley is currently inspired by other newly breastfeeding moms, as she recently gave birth to her second child two months ago. "New mothers are so courageous, pushing themselves to the limit and doing everything they can for their infants 24/7. It has been a blessing to be back in this newborn phrase, restarting my breastfeeding journey at the beginning and wearing our clothes in the process. The postpartum body is ever changing and we want Madri to accommodate at every phase." Madri Collection is a ready-to-mother line to empower mothers to breastfeed everywhere. Our pieces are modern and tailored. 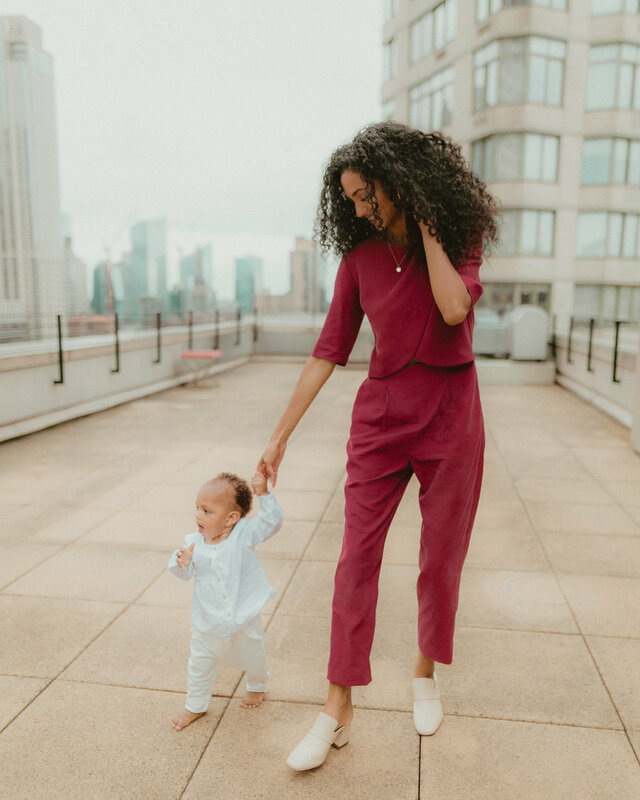 We want mothers to feel good in their postpartum bodies, so we pay careful attention to fabric and how it drapes on the body. Overall our vibe is effortlessly chic, because what mom doesn't want to feel that way? We came up with the idea of Madri Collection shortly after we both gave birth to our daughters. We were new moms navigating the world of breastfeeding, but not ready to give up our lifestyles of being social and professional women. 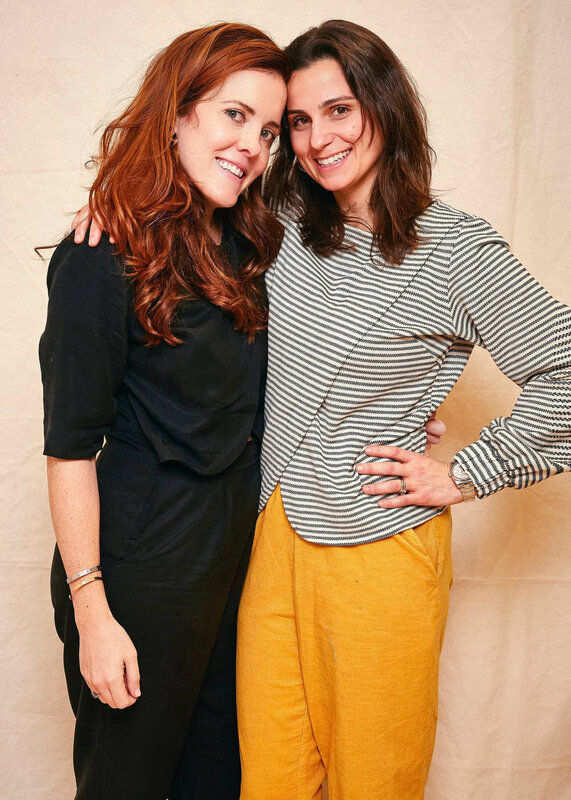 We designed the first collection with ourselves and the other moms we knew in mind. It took about a year for it to come to fruition. 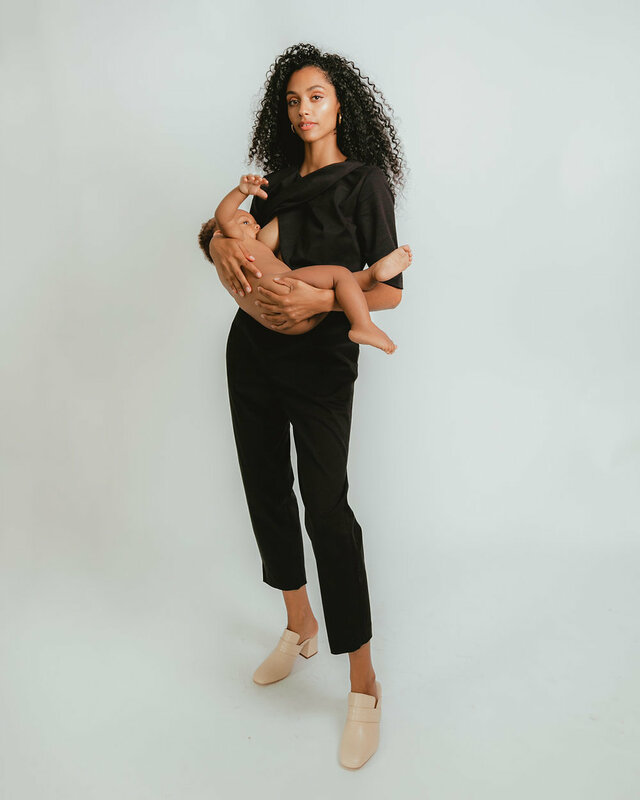 We're definitely not the only clothing line out there designed for nursing moms, but what makes us different is our style. We're focused on telling moms to get out of the house, go back to work, and be women. You will not see cotton jersey in our collection or any styles that connote this idea of "you're a mom-stay home now."